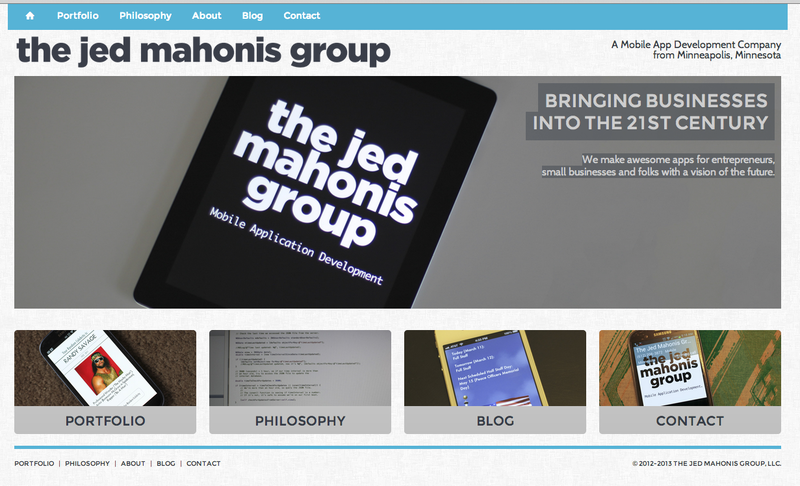 We finally launched the new version of the Jed Mahonis Group's website. I've actually been working on this for a few months now, figuring that we needed something more complex than our last single-page design. The biggest feature of our new site is a responsive layout. This lets us show an optimized layout for any screen resolution (whether it's on a 27" desktop monitor or an iPhone). In addition, we're now able to better explain our app development philosophy and showcase our apps. I also really like how the site really lets our personality shine through. Just look at the about page to see what I'm talking about.